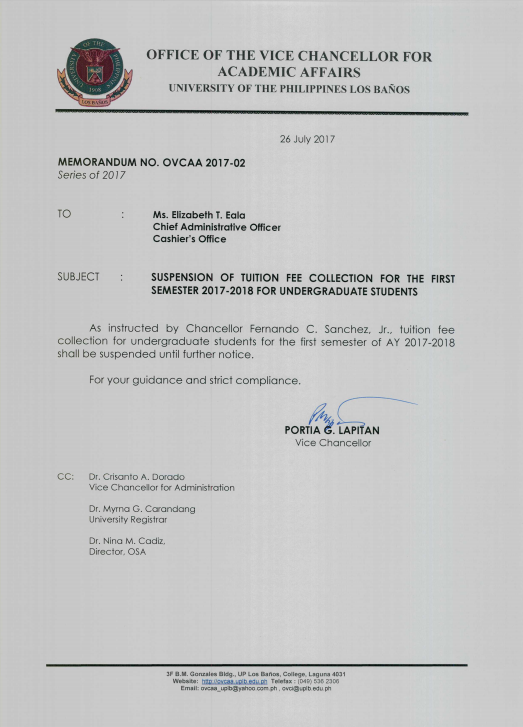 Memo from the Office of the Vice Chancellor for Academic Affairs: Suspension of Tuition Fee Collection for the First Semester 2017-2018 for Undergraduate Students. -Only undergraduate students are covered. 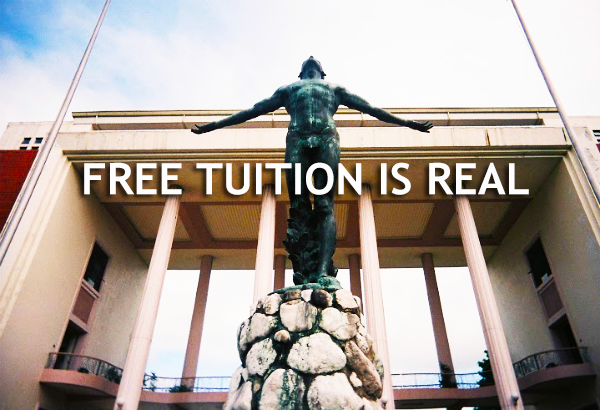 -Unless the Congress passes free tuition bill, it will not cover all State Universities and Colleges.